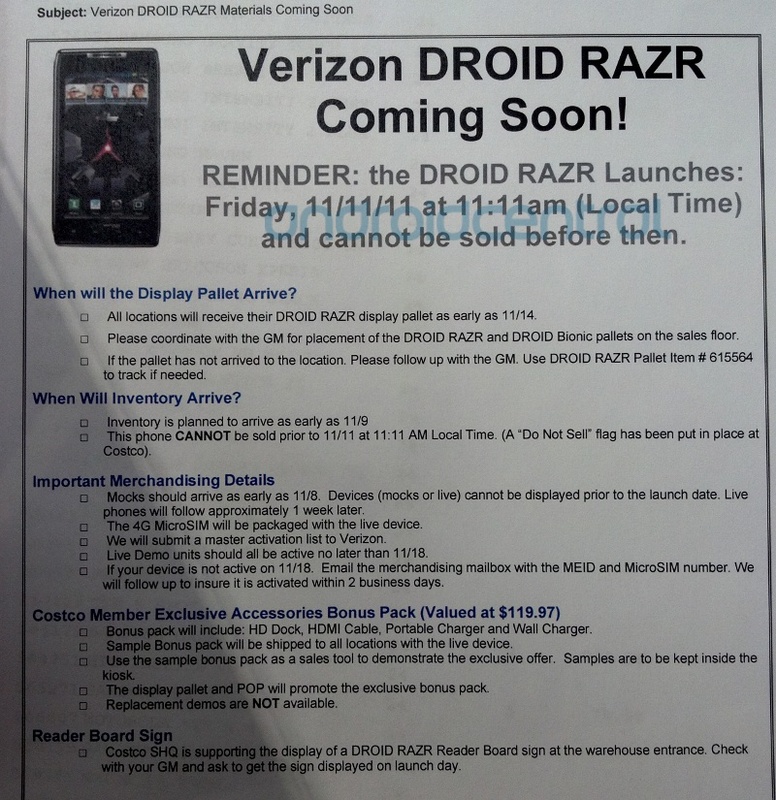 There's two important things to know about the Droid RAZR in this Costco internal memo an anonymous friend sent us -- the first is that yes, Costco will be carrying them, and the second is that Costco members will get an exclusive "Accessory Bonus Pack" with an HD dock, HDMI cable, portable charger, and a second wall charger. The flip side of the coin is that it looks like at least some locations will be waiting a few extra days past the 11/11/11 11:11 launch date before they will have the phones in stock, with Nov. 14 being the target date for inventory to start showing up. Will Costco's liberal return policy, customer service, and of course that sweet HD dock (check out the review) be enough to keep you waiting a few days to get your RAZR? Shout out in the comments, and of course you can always discuss further in the forums, which are already bumping with excitement over this one.